This album started in conception in 2014. Captain Mal Davies came to lead the Tasmanian Divisional Men’s Retreat, under the theme of “Under Construction”. The weekend was based around the Two Great Commandments, broken down into three parts – Love God, Love Others, and Love Yourself. 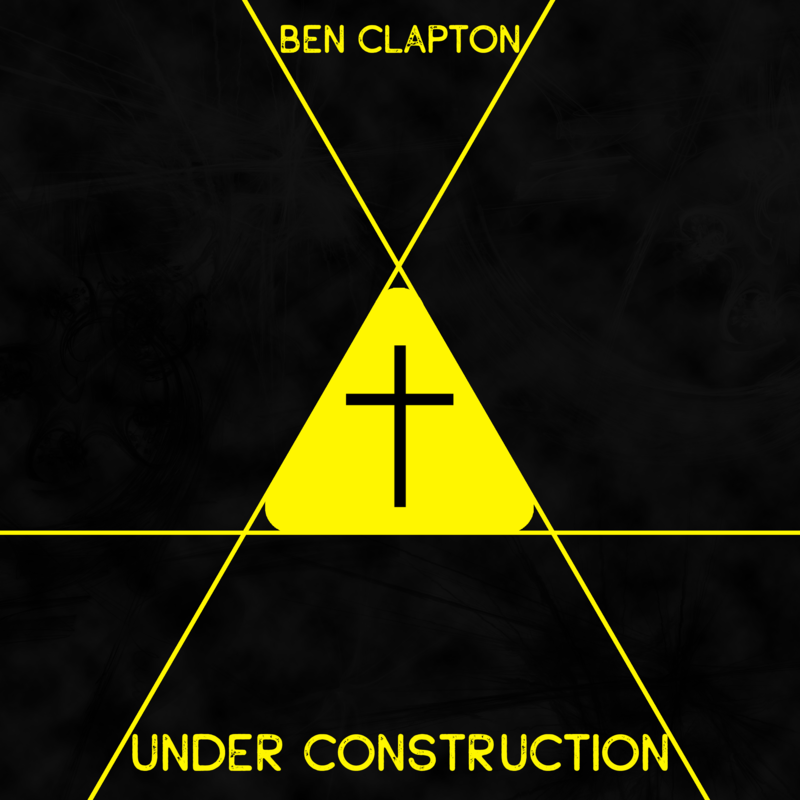 In my reflections from the sessions, I ended up writing a song, the title song to this album – “Under Construction”. When exploring an idea to write an album, I posed myself a question: If I was to only ever put across one message in an album, what would be the most important message to put across? For me, it was this idea: to Love God, Love others, and Love Yourself. So I started writing songs based around this theme. I roughly aimed at following a preaching outline for each point, to present a strong start for the whole album (Praise God for all of my days), a Problem, Opportunity and Result for each of the three parts, and then a final wrap up (Under Construction). It didn’t quite work out this way, but I believe the album works well as a whole, and each song has a strong message that is contained within the individual song and the album as a whole. The Majority of the album was recorded in the Devonport Quarters in 2015, with Lt. Glenn Smith recording Bass Guitar, Harmony Sparkes (voice) and Peter Dohnt (recording) providing assistance (Harmony and Peter are both from the Devonport Corps). Some parts were later re-recorded at the Rochester Quarters, with David Hore (a friend from Perth now living in Canberra) providing the bass for Praise God for all of my days. The album was mixed and mastered by myself, with feedback provided by Peter Dohnt, and Jason Simmonds. This album was very much a personal project, with the major focus to be practising my song writing, to explore a part of my faith, and to learn a bit about recording, mixing and mastering. For a lot of this, it is my first attempt at doing it (which I’m sure shows), but it has been a great learning experience, and I look forward to doing more. Any constructive comments are warmly welcomed. I’ve included sheet music for all songs below (Both lead sheets and chord sheets), and all songs are licensed under a Creative Commons license (see bottom of this post) to encourage reuse and modification. A corps member from Devonport had been learning the guitar. I was talking about the twelve bar blues, and he had no real idea what I was talking about. I then tried to think about a worship song that was written in that format, but couldn’t think of one. So I decided to write one. This song is based off Psalm 146. Originally written in E and faster, at 155BPM, on some advice I re-recorded it in D and at 145BPM, which fits my voice better and has a bit more space to get the words out. The Bass on this track is provided by David Hore. We know from scripture that God loves us. But we also have to love God in return. It’s not an unrequited love. John 3:16 has that great promise “For God so loved the World” but it continues “so that whosoever believes in him” – God’s love demands a response. This song reflects on Deuteronomy 30:19-20. In response to God’s love, we have an opportunity to choose life, love God and hold fast to God. For this song, I was very much influenced by Paul Kelly’s story-telling style, but also Leonard Cohen’s Hallelujah. This is a retelling of the Prodigal Son story, a wonderful example of the result of us loving God – that we are welcomed home and set free, despite all of our mistakes. This is the follow on song. We have seen these people, and we need to see the world with the eyes that Jesus sees the world. Eyes that care for all people, no matter their background, and eyes that hope for a new tomorrow for each person. If Jesus can look past prejudice and backgrounds, then we need to show the same love to everyone that we meet. The track starts with my daughter, Annabelle, and features Harmony Sparkes (Devonport Corps) on vocals. This song draws on 1 John 4:12, the Lord’s Prayer, and also a devotional by Joyce Meyer (although, I didn’t read the devotional, just liked the title). This is the track that most easily lends itself to a congregational praise and worship song, and I have included a songster arrangement as well. Compared to the last track, this is a hugely different track that marks the start of the “Love Yourself” section. This is a track that reaches out to the youth of today. The challenges that they face today are so complex and challenging, but they are also a generation that hold huge potential. If they can rise above those challenges, by finding their identity in Christ, and loving who they were made to be, then they can achieve anything. When I was writing this album, I happened to go through a period of mental health issues, and this song is a reflection of a number of issues that I was going through. Some days, I would be fine, others I would be really down. But through all of this, I am able to make a choice to love the one that God created, and one that is created in God’s image. It doesn’t mean that everything will be fine, but I can choose to celebrate the good days, and I can choose to love and follow God’s commands to the best of my ability each day. This is the song that started it all, but sums up the whole album. The song is written in the reverse of the two great commands – Love Myself, Love Others, Love God. The whole idea is that I can’t love others unless I first love myself. And if I am loving others, then I am loving God. But in the bridge, it turns it around, and the love that we have for God calls us out to Go and love others, and helps us to love ourselves as we develop into the person God created us to be. As I was going through and editing the album, I made a conscious choice to ensure that all the songs were not exclusive in any way. As such, I use the collective pronouns and avoid gendered language – I wanted anyone to be able to identify with the songs as they were created. But due to the nature of this song, and that it was written at a Men’s Camp as my own personal reflections, I chose to keep the gendered language in here. All Songs (including sheet music, chord sheets, arrangements and recordings) are licensed under the Creative Commons Attribution-NonCommercial 4.0 International License. To view a copy of this license, visit http://creativecommons.org/licenses/by-nc/4.0/ or send a letter to Creative Commons, PO Box 1866, Mountain View, CA 94042, USA.